A wooded knoll is an attractive setting for the unusually fine tri-gable I-house built ca. 1890 for Florida Hampton Umstead, the thirteenth child and tenth son of Squire D. and Martha Umstead. Umstead, reported to have been a gentleman farmer, occupied the house as his business interests elsewhere permitted. He eventually moved into Bahama and the property was divided and sold in 1917. Christopher Columbus Oakley purchased the farmhouse, and Onice Parrish, Sr., a farm manager’s house on the other side of the road. 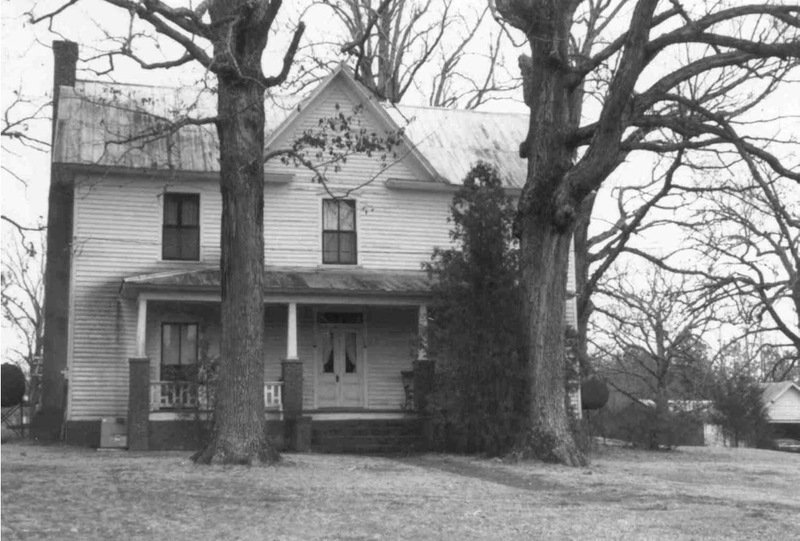 When the present owners, Parrish’s daughter, Sally, and Oakley’s son, Travis, were married, she moved across the road and the couple has since operated a large tobacco farm. The farmhouse stands over a brick foundation, has weatherboard siding, and is bracketed by single-shouldered end chimneys with stone bases that have been stuccoed and scored to resemble ashlar (squared) stone. Fenestration is regular on the front facade and two-over-two windows with pedimented surrounds are larger on the first floor than on the second. In end bays, first floor windows reach the floor of a Craftsman-style front porch that was added in the early twentieth century, and flank a notable double-leaf entrance door decorated with fluted molding and corner blocks on the inside and stylized Eastlake molding on the outside. An etched glass transom surmounts the entry, and molded rake boards and partial eave returns decorate gables around the house. The interior was remodeled ~1990; ceilings were lowered and modern paneling and carpeting installed, but wide baseboards, post-and-lintel mantels, and four-panel doors in molded surrounds survive in each room. A generous center hall has early wallpaper and a U- shaped stair with turned spindles and decorative newels that rises to the second floor through a landing. At the rear of the house, a one-story frame ell joins a kitchen to the main block. A large group of outbuildings near the house includes a log curing barn, a frame corncrib and a mule barn, an ordering pit, and numerous tobacco barns.